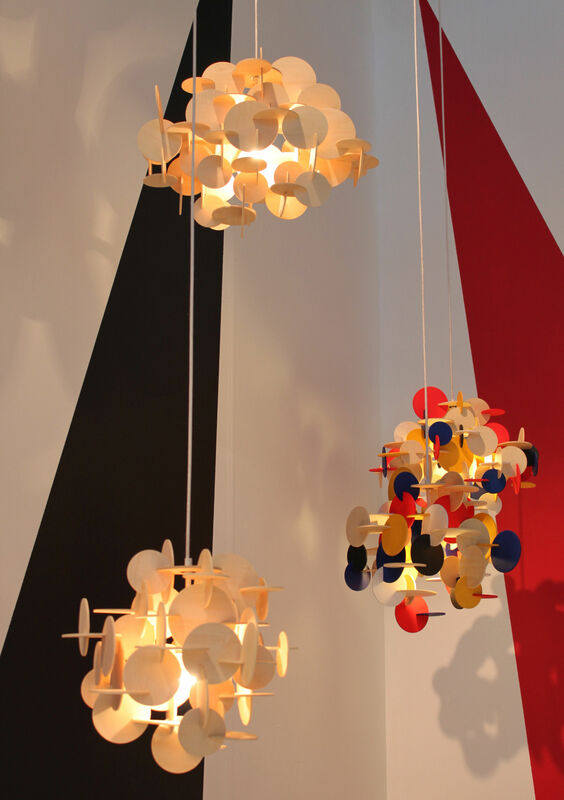 Bau is a sculptural hanging lamp designed by Vibeke Fonnesberg Schmidt, who has combined composition and geometric shapes in a unique and creative design. Bau is a hanging lamp with attitude. 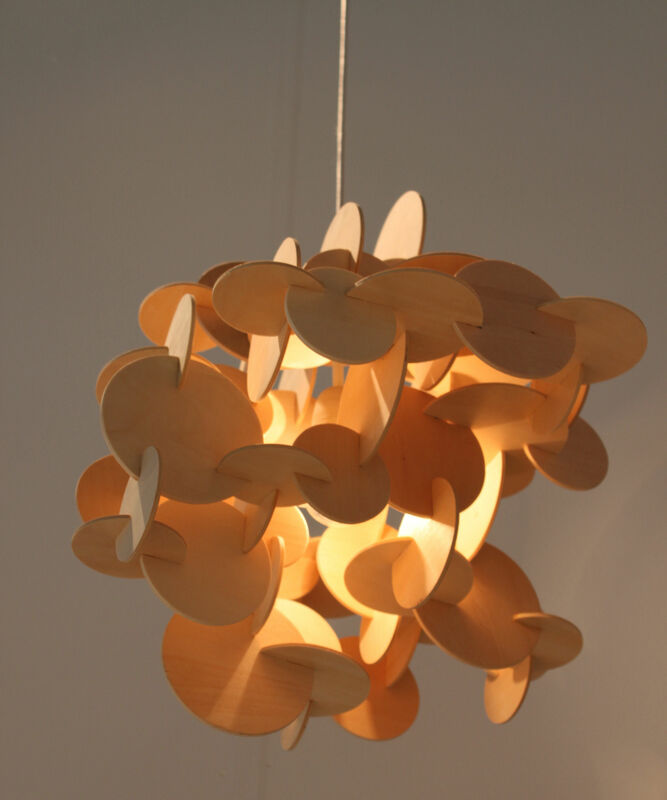 The design is based on interlocking geometric circles, sticking out in all directions. 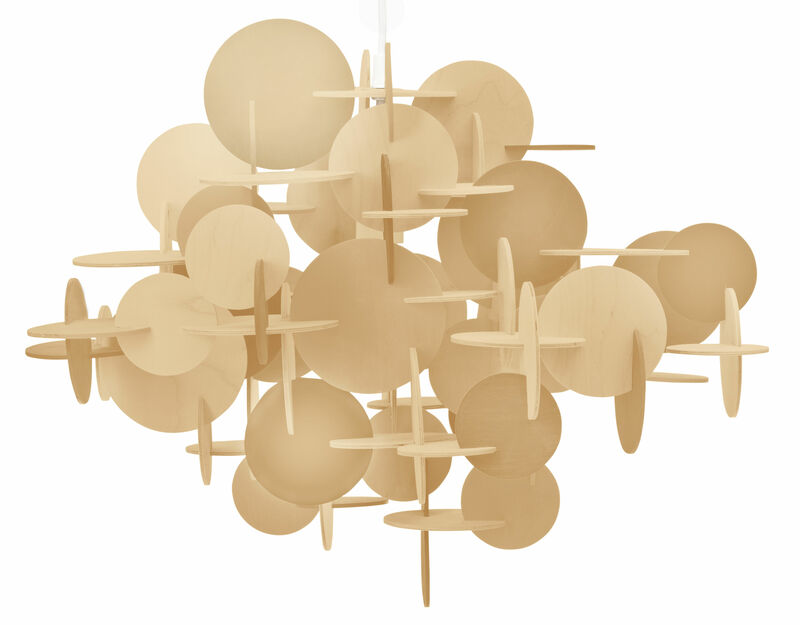 Bau has an immediate pattern that is broken up by the discs' different sizes and off-centre linkages, making the lamp living and organic in its expression. 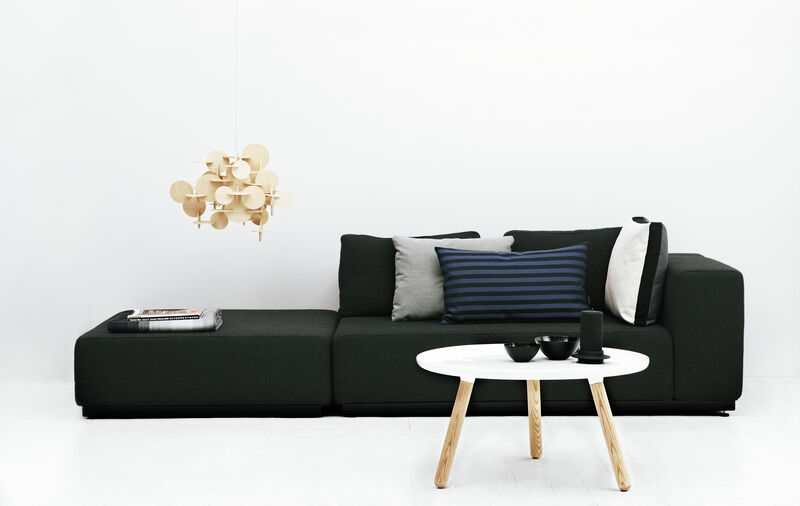 Vibeke Fonnesberg Schmidt's designs are often based on geometric shapes, and her love for architecture is also reflected in the Bau lamp. In German, Bau means construction, and it is exactly the lamp's construction and composition that create an expression of harmonious disharmonics.